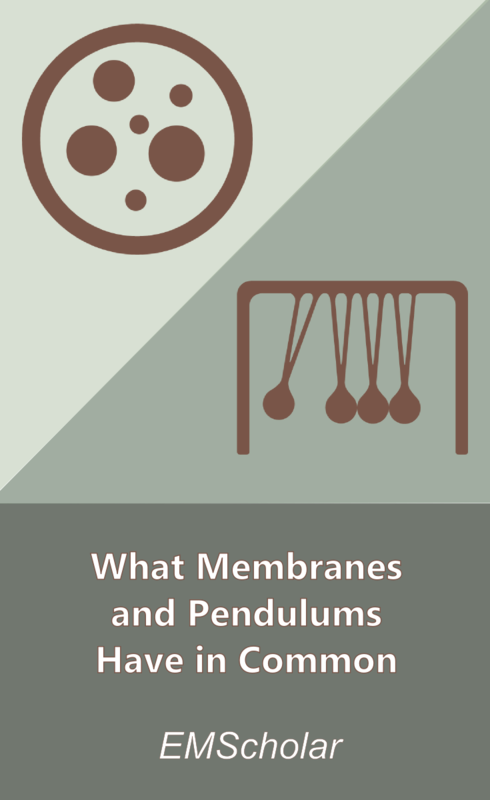 What Membranes and Pendulums Have in Common. Both of my parents are medical doctors, so I was familiar with the “shell” that doctors have to develop so they aren’t emotionally traumatized every time a patient dies. Like army commanders, they have to maintain some distance from their patients so that they can continue to do their work when bad things happen. As I began my Emergency Management studies, I assumed that I would have to develop a similar shell. I assumed that I would become cynical and jaded, like Dr. House on his eponymous show. But I don’t want to be that person. The whole reason I became an Emergency Manager was to help people and how can I continue to do my job well if I lose my humanity? But in order to do this, I have to put aside the embarrassment and shame of not keeping close tabs on current events. I have to stop cringing every time someone gasps, “You didn’t hear about that?! Where have you been, under a rock?” I have to practice saying, “I didn’t have the emotional fortitude for that story.”–or perhaps something better. Something that conveys that I don’t consider world events entertaining. That I take human suffering seriously–that it impacts me. That in order to do my job, I have to let it impact me and that I have to protect myself from its impact. And that that dichotomy is a balancing act that seems more like wavering between two extremes rather than a perfect moderation. As my mother told me once, “pendulums are balanced too”. How do YOU manage your humanity in a world where bad things happen? Share below.